Duodenal gastrointestinal stromal tumors (DGISTs) are mesenchymal tumors. Main presenting symptoms are gastrointestinal bleeding and non-specific abdominal pain. Surgical treatment is golden standard for treatment of DGISTs. Tumour location and size determine the surgical strategy. Recurrence rate depends on tumour location and completeness on removal. 75 years old male fell ill with hematemesis, hemohesia and dizziness. Esophagogastroduodenoscopy (EGD) did not reveal the source of bleeding. 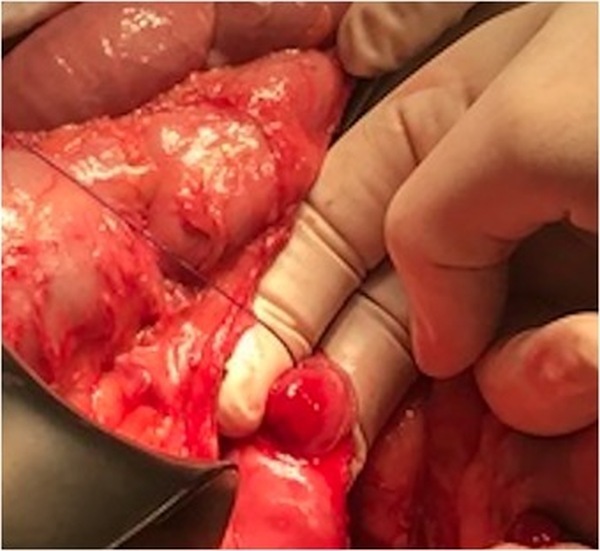 Upon admission, a second EGD was performed due to loss of consciousness and anaemia, which revealed only approximate source of bleeding in the third portion of the duodenum. The exact bleeding spot could not be reached and bleeding could not be controlled endoscopically. Patient was transferred to the operating room for an emergency explorative laparotomy. 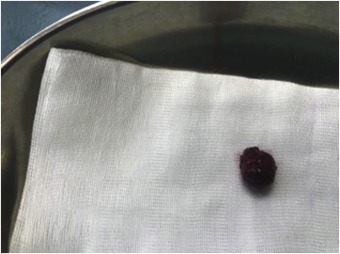 After extensive mobilisation of the duodenum a 2 × 2 cm intraluminal tumour with central bleeding ulceration was found in D3. 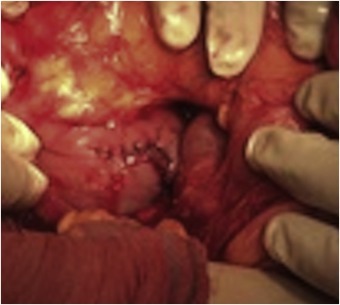 The diseased part of the duodenum was excised and the duodenotomy was closed with interrupted sutures. Final pathohistological report confirmed gastrointestinal stromal tumour, pT1. Postoperative period was uneventful.